Copenhagen - Under partly sunny skies a shifty 10-12 knot wind greeted competitors and race managers today for their practice race at the 2016 ORC World Championship, hosted by the Royal Danish YC and Egaa Sailing Club. The fleet of 131 boats from 13 countries has been divided to race in three separate course areas to determine new ORC World Champions in Class A, Class B and Class C.
"Today's conditions were perfect," said designer Matteo Polli, who is from Trieste but this week is racing on Bachyachting Racing Team from the Netherlands, a new Italia 9.98 of his design. "The flat water and shifty winds are really nice to play the game, and if you are good at this you can make big gains in the race." Under the command of skipper Jascha Bach, this team won the ORC Dutch National Championship this year, and is thus a strong contender here in Class C.
Others to watch in Class C include some teams from Estonia: Jaan Akerman's NM38S Sugar 2 with Sandro Montefusco on the helm and another more recent design, Aivar Tuulberg's Next 37 Katariina II, with another Italian champion on the helm, Lorenzo Bodini. Both teams were battling against each other in Greece only a week ago at the 2016 ORC European Championship in Porto Carras in different boats, and Tuulberg has made some recent modifications to his Cossutti design to prepare for this championship. The boat was brand new in Parnu last year [at the European Championship], and we changed the keel design this year to have less wetted surface area with the same stability," said Tuulberg. "The boat feels fast so we look forward to this week." But all will find it hard to defeat last year's Class C European Champion, Patrik Forsgren's modified First 36.7 Pro4U/Malin from Sweden. With 62 entries in both Class C and Class B, race managers have chosen to split them into two groups of 31 boats each, Blue and Yellow, so that the races are run in manageable sized groups in the Qualifying Round of the event. The intent is to have four inshore and one offshore race scored for each of the two groups within a class, and then choose the top half of each to form a Gold fleet that will compete for the Championship prizes and a Silver fleet to compete amongst themselves for the remainder of the competition. In total nine inshore and two offshore races are planned from tomorrow, Monday July 18th through Saturday July 23rd. 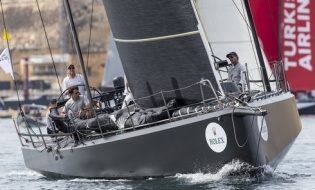 In Class B among the favorites will be Claus Landmark's Mills-designed Landmark 43 Santa from Norway, who was leading Class A for most of the Worlds in 2014 in Kiel and now is at the upper end of the size scale in Class B. 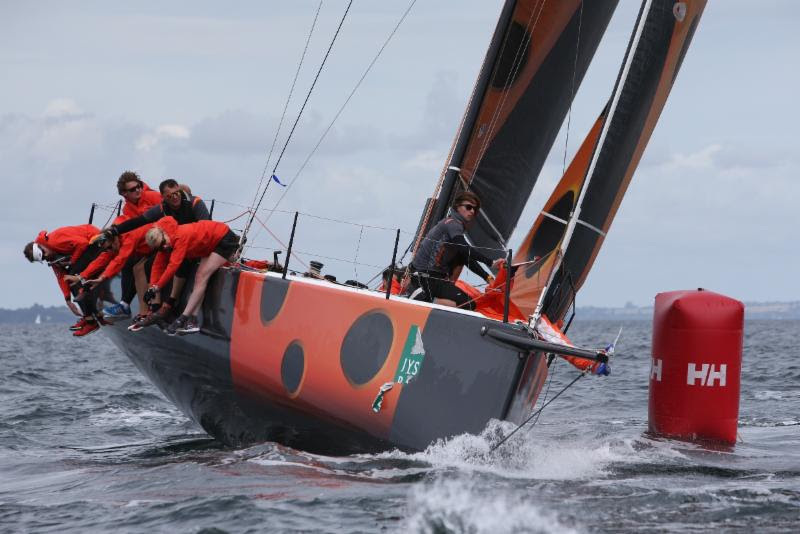 Two newer Ker-designed MAT 1180's are at the top of the class in speed - Ralf Aspholm's Datacom from Sweden and Harold Vermeulen's Leeloo from the Netherlands - but they must also watch out for the recent ORC winner of AF Offshore Race, Jacob Wallenburg's Swan 42 Regina 2.0 from Sweden. 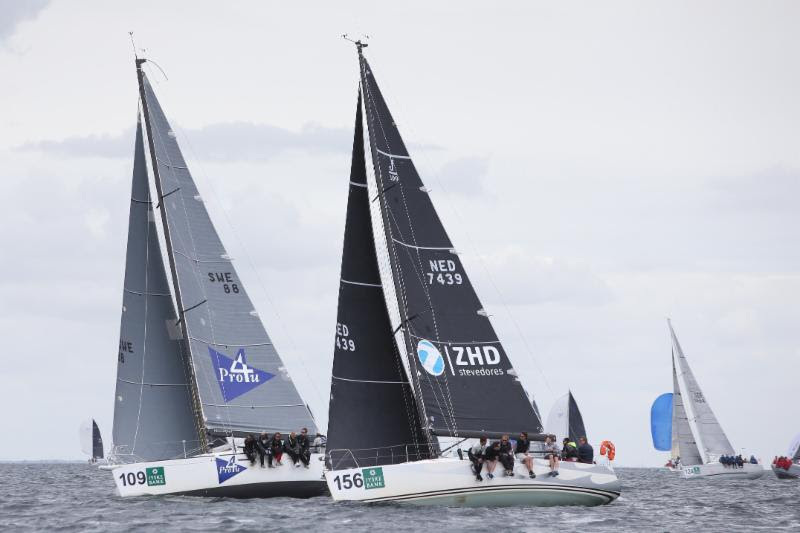 The reigning Class A/B European champion from last year and Class B champion from Kiel, Jaak Jogi's X-41 Forte, has returned in search of another medal and may also be a tough foe in this class. Class A has a lone TP 52 at the top of the class, but its not just any TP 52: Yakimenko Vadim's Russo-French team is racing Freccia Rossa, last year's winning TP 52 sailed by Alberto Rossi and his team as Enfant Terrible. 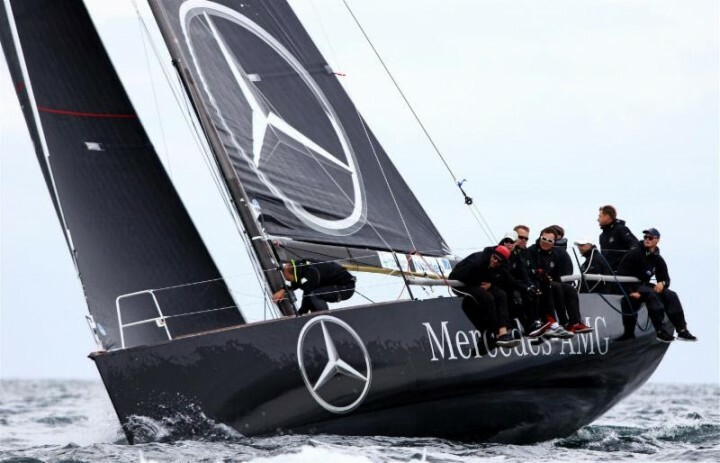 They may likely be challenged in corrected time by whoever leads out of the pack of boats in the mid-40-foot range, such as Dennis Gehrlein's Bronze medalist in the 2014 Kiel Worlds, the Felci-designed GP 42 Silva Neo team from Germany. 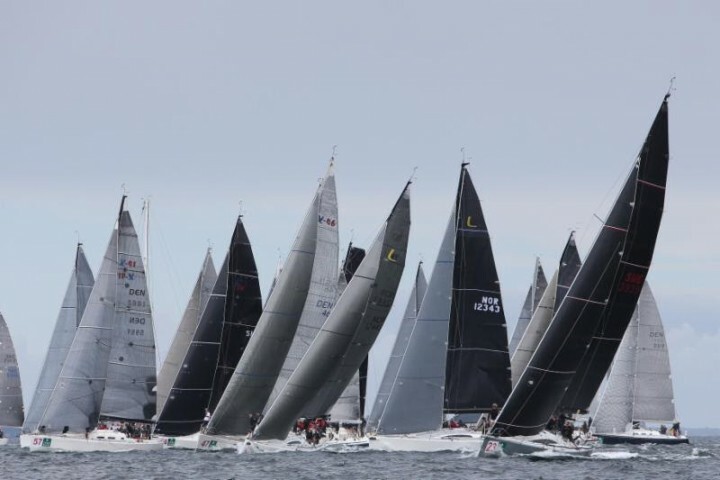 "This is an impressive fleet assembled here for this World Championship," said Bruno Finzi, Chairman of ORC. "There is a great diversity of boat types in each of the three classes, and we expect the level of competition to be very high among the top teams. And the weather forecast looks like we will have the conditions to have a very close-fought championship."